BUYER SIDE- Beautiful upper one bedroom suite at Hycroft Towers with private treed outlook! This bright south facing suite features original oak floors, updated kitchen w/stainless appliances, Brazilian soapstone counters & wood cabinets. The wall to wall windows offer abundant natural light & the efficient layout boasts built in drawers & closets. Many recent upgrades to the building, a strata-owned caretaker suite, large lockers & an impressive renovated common rooftop deck with amazing views! 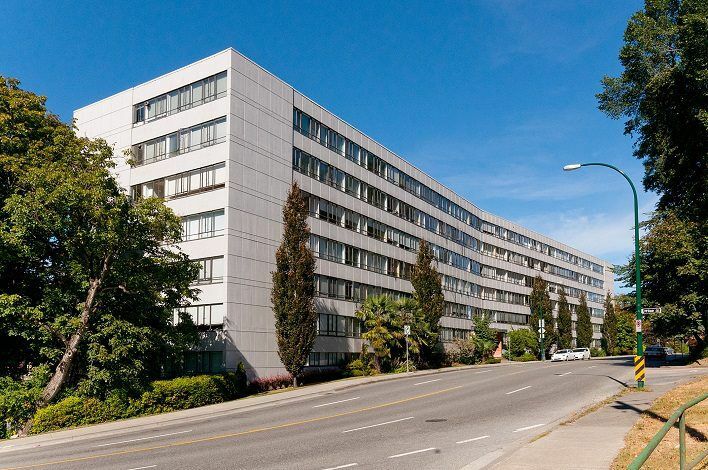 Situated just steps to shops, galleries, restaurants & transit & minutes to Downtown, UBC, airport + Granville Island. Come see this Modernist landmark & great suite for yourself.